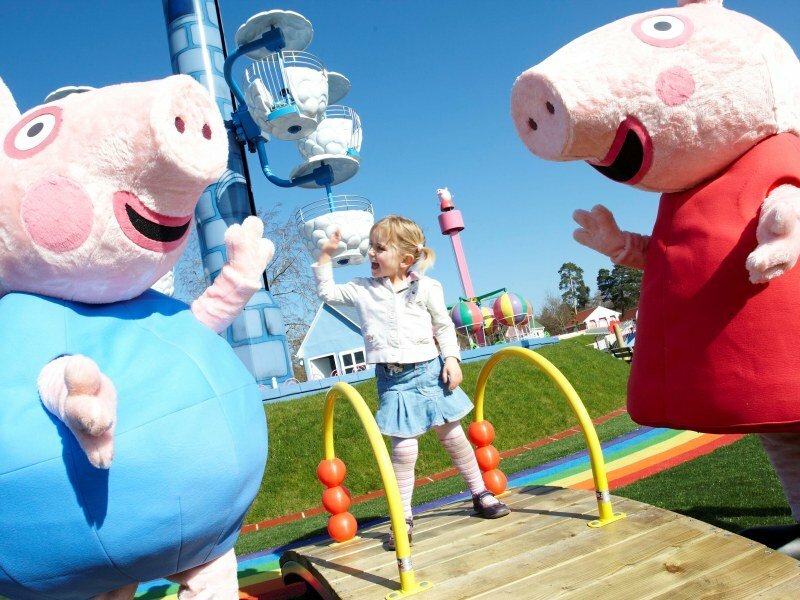 If you’re looking for a Peppa Pig short break, take a look below for some great options, including a DIY stay for a cheaper way to enjoy your break! 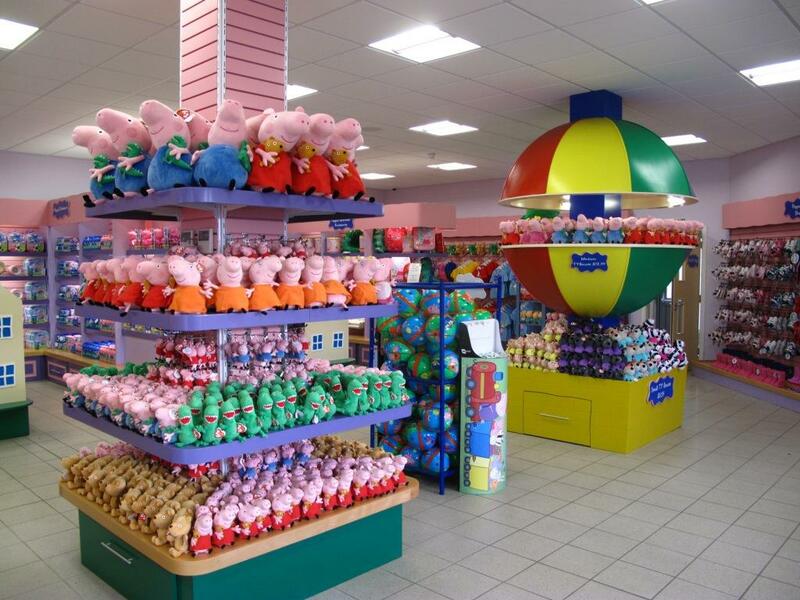 What other Peppa Pig World Tour + Hotel options do I have? Book your official short break at one of the hand-picked hotels to make the most of this 2 night offer from just £75 per person >> Book now! Want a combined package staying at a partner hotel? 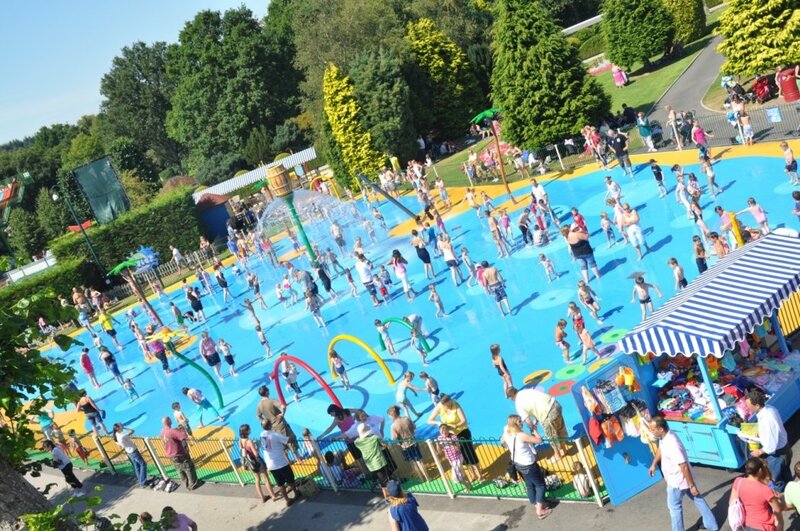 Get a combined package through Paultons Breaks staying at a partner hotel which is situated nearby the theme park, plus park tickets. If you’re looking for a cheaper option you can book your hotel and park tickets separately! 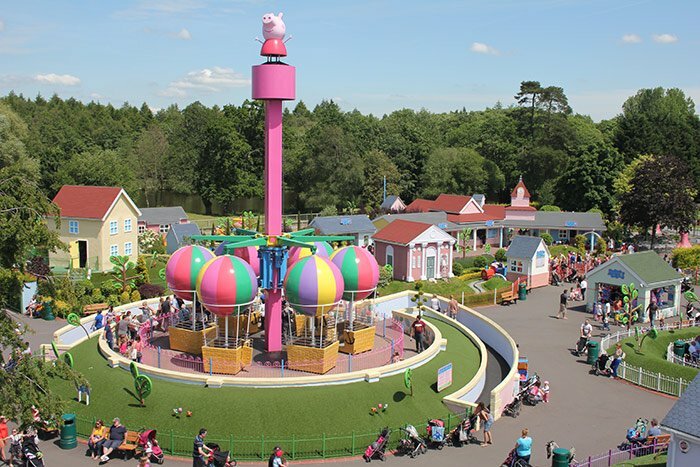 Book your theme park tickets through the Peppa Pig World website and book your accommodation direct with Travelodge here. Theme Park entry ticket 1 day! 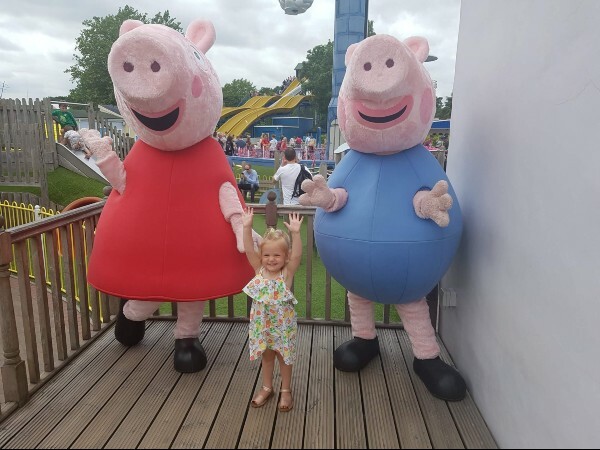 We finally decided our daughter was the perfect age (2.5 years old) to enjoy a trip to Peppa Pig World, we knew she’d revel in the chance to meet Peppa and George ‘for real’ and was the ideal age for all the rides the theme park had in store for us! So, we set off for the 3 hour journey with the iPad fully loaded and enough snacks to sink a battle ship and braced ourselves for the M25! It turns out, luck was on our side… she slept the majority of the way and there was no traffic to write home about… winning! If you have pre-school age kids, it’s a bonus to visit during the week as the ques are a lot shorter and it’s generally less manic. On entering, we made a beeline for the rides at the back of the park, as these were less busy than those located right at the entrance. However, on spotting Peppa and George making an appearance outside ‘The School’ all the rides went out the window and we were pulled excitedly to the (rather long) que to have a photo opportunity! Our daughter actually waited quite patiently in line to meet her idols, and she was not disappointed! We had a few pics, a cuddle and high-five and she was set for a Peppa-filled day! The rides were great fun, not only for our daughter, but admittedly for us too! My personal fave was George’s Dinosaur Adventure Ride! My husband jumped on the dinosaur in front and Sophia and I were bouncing along the track behind, we caught some great pics and video footage doing it this way. We thoroughly enjoyed all 7 rides (with ques of around 20 mins each) and ended the day with a tasty treat from Miss Rabbit’s Ice Cream Parlour. Of course, no trip to Peppa Pig World would be complete without a souvenir… The shop was bursting with goodies and Sophia pretty much picked up and cuddled nearly every soft toy in there before finally deciding on the lucky Peppa to take home. Before entering, pick up a ‘lost child sticker’ from the kiosk and stick it in the middle of your child’s back where they can’t reach to take it off! Head to the back of the park first and work your way forward – the rides at the back should be quieter to start with. Bring a change of clothes and swim gear (if the weather’s nice!) as the Muddy Puddle’s Water Splash Park is great fun! You can’t que with pushchairs (they have to be left to the side) so make sure you have a separate bag with drinks/snacks/valuables in while you wait! Bring socks if your little one wants to play in the indoor soft play!